Discrimination, in many forms and shapes, is unfortunately of all times. But did you know that at the work floor older employees are even more discriminated against than coloured immigrants? From another newspaper I recently learned that older people are more at risk of discrimination when applying for jobs. It may be clear: discrimination on the basis of age is not only prevalent in the national and international scientific literature, but in the media it also is a burning current theme. 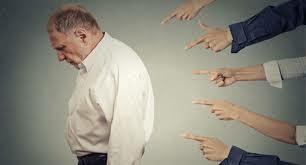 In fact, age discrimination on the labour market is described as the strongest form of discrimination. Now how about that! I personally think the tide is turning and companies have to face some realities as a result of a changing demographic society. 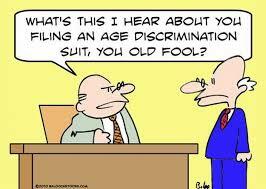 Here is some helpful information about age discrimination at the work place. At the very mature age of 60 years, my last working contract expired and was not renewed. The Thai company in Bangkok said I could have had a job for life, if I would have been an engineer. Thus I found myself in dire straits as my retirement was not starting for another couple of years. Of course I had my 37 years of experience in marketing, commercial, sales, purchasing and contract management with various multi-national companies, but I am not an engineer. With hindsight, I am not so sure that made much of a difference. There are numerous possibilities for somebody with my experience and I apllied with a lot of companies, headhunters and recruitment agencies. I think I did this for over a year and what do you think I received? I received exactly zero feedback, no replies, in one or two occasions a confirmation, no phone calls, zip, nada. So, with so much experience and moderate salary demands, why is nobody interested? I can only come up with one answer. Call it discrimination or not, but it really appears that Thailand, as indeed many more countries in the world, is not ready to introduce older people in their workforce. A labour expert tells that the elderly run into many prejudices in job applications and find it difficult to get started. ‘Fifty something year old people are not part of the new technology,’ is one of the alleged reasons. The number of cases that are opened about age discrimination has risen sharply in recent months. That is why she starts a digital campaign against these prejudices. In almost half of the new files, age plays a role in the rejection of applications. “This is worrying. If your job applications are about age and not capacities, where should you continue to get the motivation to work longer, “she asks. ‘If we take a close look at the files that we have been opening since 2016, we see that older employees in particular are pulling the short straw. Almost thirty six out of sixty of the files that have been opened so far are about people over 45 “. So, it certainly appears that I am not alone in this situation. But the demographics in most western style countries are changing. The social problem – Is there hope? Age discrimination complicates the approach of that other hot topic in the national and regional media: the overall ageing issue. The labor market supply will decrease drastically due to the ageing population, with the result that the burden of social security is to be worn by less shoulders. You see, it is always about the money! Another aspect, in some countries, is that economies are growing faster, consequently there is an increasing demand in the work force, but what if the supply of young people is drying up or simply not enough? To keep this financial burden sustainable and the work force at necessary levels, it is of the utmost importance to keep older employees working longer and it consequently is crucial to eliminate obstacles of discrimination on the basis of age. Companies should look at strategies to re-enlist elderly people as well. Here are some tips on what you can do to be hired again. How do you prevent age discrimination at work? 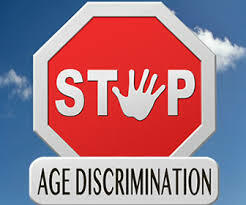 Most countries will have laws that prohibit discrimination for any reason, so age discrimination is also prohibited when recruiting new people. But companies should look at themselves in the mirror and ask what they can do. Look at the job description and assess the suitability of the candidate on this basis, not on the basis of prejudices. Ask questions based on those job requirements, so “In this job you have to travel a lot, do you find that annoying?” And not “Do you have children, oh, you certainly do not want to be so much away from home?” And also be aware that there are some older employees who may want to work longer! Do not rule people out just based on their age. Try to find a learning method that fits with everyone’s learning style, regardless of age. I have seen many people of 40 years old and they are already worn out, but I have also seen 55 yr olds up, that still want to learn every day! Which one would you choose? Be flexible, take into account changing working hours. And here again applies: no assumptions, ask people how they see a job, if they can cope, and so on. You might miss out on somebody who is still very eager and capable to work. Do not look down on the elderly ‘who can no longer follow it anyway’: appreciate each other, learn from each other. Older people will have a wealth of knowledge and experience that younger people, even young guns, can learn from. One example: an older and a young bull are standing on top of a hill, looking down a meadow full of grazing cows. The younger bull gets excited and starts running down saying come on let’s grab one. The older bull stays calm and says: relax, take it easy, we’ll grab them all! You see the benefits of age? Depending on which country you live in, your particular situation might differ from others. I know for instance that Singapore has an active policy in place to get older people into the companies again, however, this is only valid for Singaporeans, but nevertheless hopefully more to follow. If you are finding it very difficult to get into a job again, then why do you not consider becoming your own boss by building your own (internet) business. It is what I did when reaching 60. The opportunities on the web are virtually limitless, the only thing to watch out for being the numerous scams. How does it sound that you will build your own website, that you will do so in your own time, scam free and with the support of the best there is. I joined Wealthy Affiliate (WA), established in 2005, in late 2014 and have never regretted this decision. You get to monetise one or more of your passions, interests or hobbies under the guidance of this unique support and training program. If you are interested, then you can read my full review of how they work, what they offer, the very reasonable cost by clicking here. Through that review you can also join the program for FREE for one week and experience the training and support firsthand. Have any questions, please leave them in the comment box and I will be back to you within 24 hours. Hi Jerry, this is a real problem and I feel for people who want to find work at an older age and just keep getting rejected. The corporate world is selfish and wild. There’s too much competition and not much compassion. If it is hard for me as a Millennial to find a good job, I can’t imagine what it is like for people from previous generations. Luckily the internet doesn’t discriminate and anyone can succeed here. It only depends on your own effort and determination. I much prefer the idea of being my own boss than going back to the corporate jungle! I see one factor that is in favour of older people. Demographics show that populations are ageing and as long as economies are still growing, the need for people, including older ones, will increase. And yes, if you do not want to wait for the tide to turn, it is better to become your own boss. As I said in the article, the internet offers many possibilities, the best one of which I described.